the villa is exquisite. the staff are kind and soft-spoken. 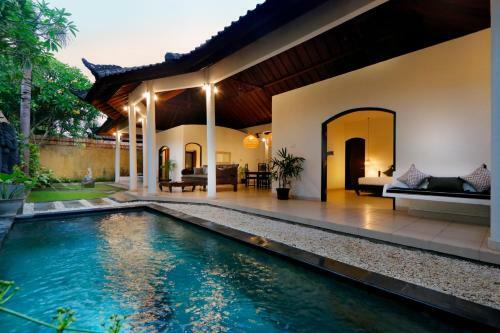 The villa is not fancy but had a lovely and cosy outdoor area with a beautiful pool, the room, bathroom and walk in wardrobe are spacious and clean. There is a really nice bar next door with live music and a circle K across the street. The location is great, the markets and restaurants are just a couple blocks away and is a really nice area to walk, for us that was essential since many roads are close for the Nyepi celebrations and there was the Ogoh-Ogoh dancing just around the corner. Is a very practical, comfy and good value for money. When we arrived on 14-Feb, we were warmly greeted by the receptionist. The villa we stayed in was 2-bedroom and it was very nice. The villa location is near to a small 24-hr convenience store which was very helpful incase you need anything at any time. For coffee lover, the biggest Starbucks Reserved in South East Asia is only 5-10mins walk from the villa. So you can always start and end your day with your favorite coffee. Special thanks to our very reliable driver Frankie. And to the reception team of Singgah Villa - Arsa, Sisca, Sinta, Putri and Wira. Gorgeous villa! Amazing value for money- we were so pleasantly surprised! The staff are lovely and the cleaning and turndown each day are great. Would 100% book again! Staff were extremely friendly. Bed was very comfortable. Villa was very private and peaceful. Everyone was very friendly, rooms were quite big, pool was clean....overall a very good experience! Lock in a great price for Singgah Villas Seminyak - rated 8.3 by recent guests. 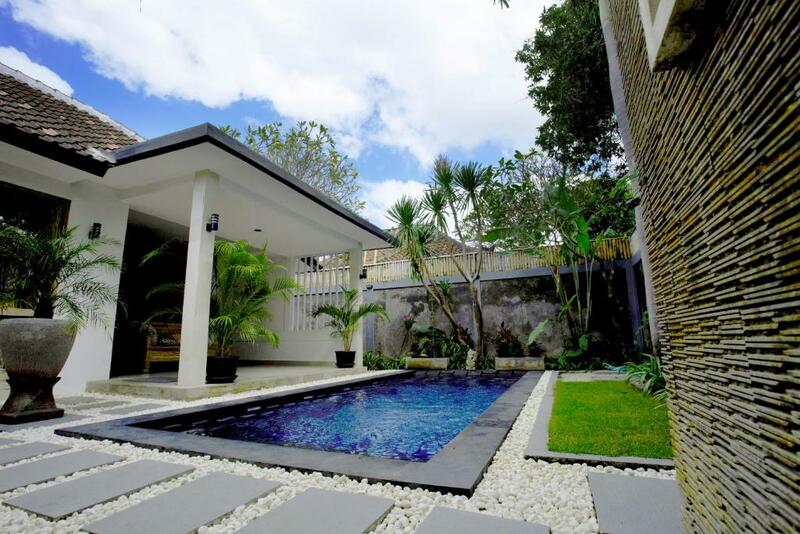 One of our top picks in Seminyak.Set in trendy Seminyak, this air-conditioned villa features a lush garden with an outdoor pool. It provides free parking and free WiFi access. Guests can find an array of restaurants, shops and night clubs in the surrounding areas. 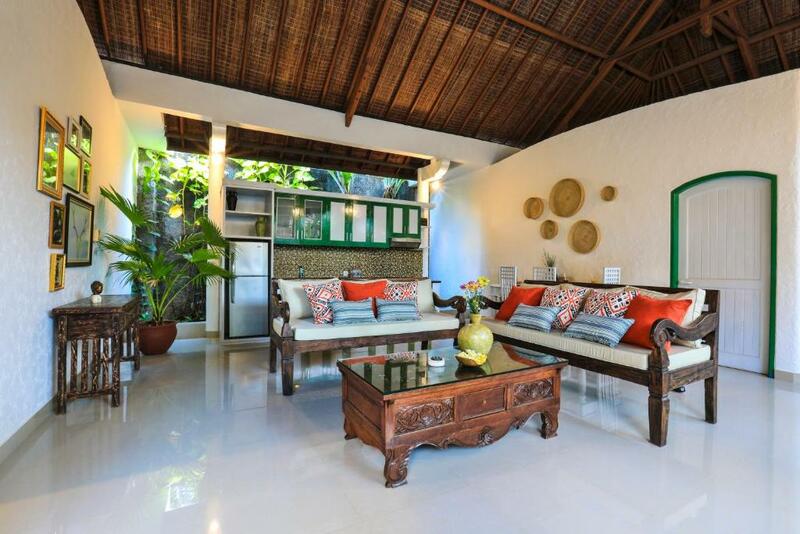 Combining modern decor and Balinese touches, the property has a fully equipped kitchen. 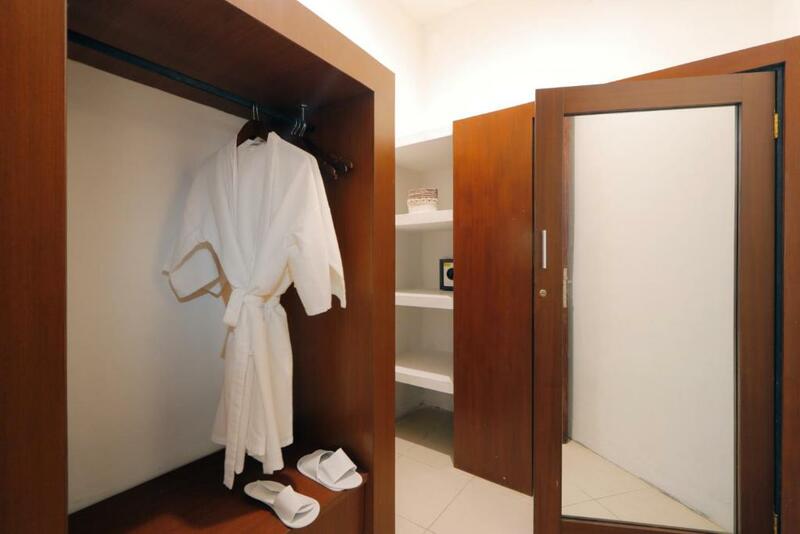 The private bathroom comes with bathrobes, slippers and free toiletries. The villa can help you with airport transfer arrangement. The staff can arrange massages, babysitting service and birthday or honeymoon surprises. The Seminyak Square Shopping Mall is 1.2 miles from Sejuk by Gita Ayu Villa, while Ku De Ta is 1.3 miles from the property. Ngurah Rai International Airport is 3.7 miles away. Singgah Villas Seminyak has been welcoming Booking.com guests since 10 Aug 2017. Good for couples - they rate the facilities 8.2 for two-person stays. 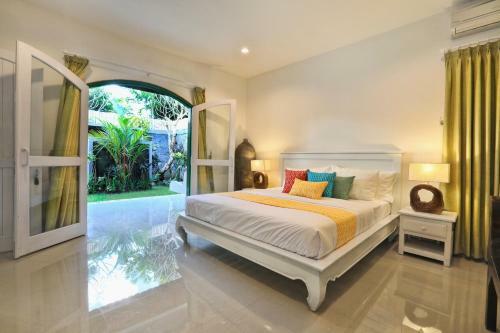 When would you like to stay at Singgah Villas Seminyak? This villa has a balcony, a seating area, a flat-screen cable TV and air conditioning. Guests enjoy free toiletries and daily fresh towels. This villa features a balcony, seating area and bathrobe. This villa has a balcony, tile/marble floor and private pool. This villa features a balcony, private pool and dining area. This villa has a balcony, toaster and satellite TV. This villa features a balcony, cable TV and kitchenette. This villa has a balcony, flat-screen TV and minibar. 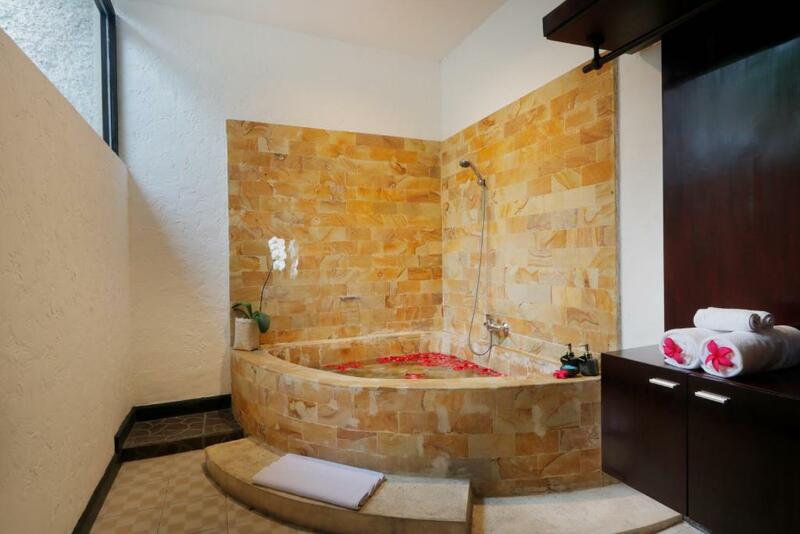 This villa features a balcony, tile/marble floor and spa bath. This villa has a balcony, dishwasher and air conditioning. This villa features a balcony, stovetop and private pool. 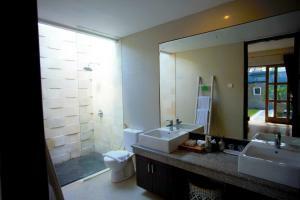 Singgah Villas Seminyak is located in the happening area of Bali, Seminyak. It is a wise option for travellers who love strolling around the city and enjoy Bali’s sophisticated nightlife spots. The property offers a private stay in its mixed of contemporary and Balinese style decor featuring an open concept design. Free WiFi, fully equipped kitchens and spacious terrace overlooking the private swimming pool are available on site. Each well-appointed room features air conditioning and a flat screen TV with satellite channels. The beautiful golden-white sandy Double Six Beach which surround with great restaurants and boutique shops with chill ambience is just 5 minutes drive from the property. There you are able to gaze at the magical sunset while having your Bintang beer and listening to live music, making it perfect for relaxation. Within 5 minutes drive guest can also reach temple, instagramworthy cafe, dining outlets, and bar at Petitenget area. Breakfast is served daily in guest’s private villa and special diet menu is also offered. We offer a free airport pick-up/drop-off and also a one-time free shuttle to 66 beach or nearby area. 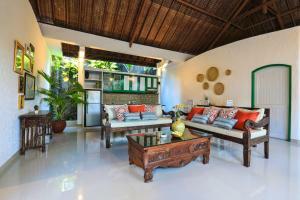 Now Seminyak is becoming one of Bali's trendy neighborhood. There are plenty of amazing things to explore in Seminyak from numerous fines restaurants, boutiques, to witness the legendary sunset or a marvelous Balinese ceremony on the beach. Since it nearby to 66 beach the property is also match to ones who love surfing. In addition to that the villa is walking distance to Bali's best night club, such as Jenja and Cocoon. Property surroundings – Great location - show map Guests loved walking around the neighbourhood! House rules Singgah Villas Seminyak takes special requests - add in the next step! You'll need to let the property know in advance what time you'll arrive. One child under 12 years is charged IDR 350000 per night when using existing beds. All children under 2 years are charged IDR 350000 per night for children's cots/cribs. All children under 12 years are charged IDR 350000 per night for extra beds. All further older children or adults are charged IDR 350000 per night for extra beds. Any type of extra bed or child's cot/crib is upon request and needs to be confirmed by management. Singgah Villas Seminyak accepts these cards and reserves the right to temporarily hold an amount prior to arrival. 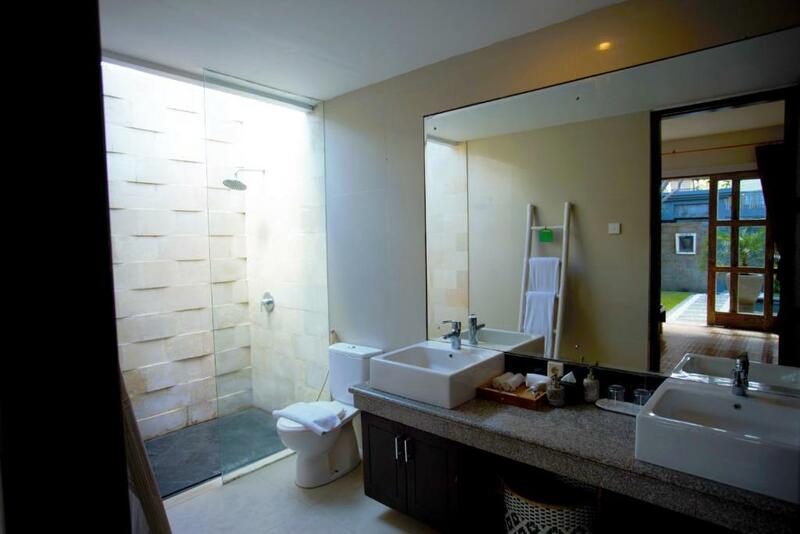 Please inform Singgah Villas Seminyak in advance of your expected arrival time. You can use the Special Requests box when booking, or contact the property directly with the contact details provided in your confirmation. *I booked the private pool villa and found the pool very dirty, full or trees leaves, pool water had weird taste & smell and pump is not working!! *The Villa was full of lizards and mosquitoes which was annoying. *The staff/hotel were too greedy willing to charge for anything. Even the water bottles was NOT for free which is always free in other hotels. *The hotel charged me 3.5% extra for paying by credit card, where other hotels don't charge anything or very rarly they might charge upto 2% max. *The hotel was asking for IDR 150k for breakfast of my 3 yrs old son who can't complete half a sandwich where they charge same amount for adult !!! Luckily starbucks was very near and had all our breakfast over there for better money value. *The mattress was very stiff and cheap quality. * The bed has 1 side table where on the other side there is nothing !! What a poor furniture !! *The room floor was full of hair of previous visitors. I don't know what housekeeping is doing!! And many more things .. The villa is quite fancy and very clean. need to request and pay for iron and board but the board is filthy. iron is chargeable at 50000RP a day! iron should be given for free. its the first time for me to be charged for requesting iron. Some simple things were missing ie. iron, extra rolls of toilet paper etc. but not essential when staying in a place like Bali. Overall we were very happy. The reception is incompetent! Asked to prepare the bill for a quick check out and it wasn’t ready... had to pay twice. Breakfast service 1 hr for 1 fried eggs.. bathroom not clean, broken floor.. absolutely DO NOT STAY there! Food is just ok, not a big deal since there are lots of places around. A 3.5% surcharge is applicable at the resort if you pay through your card. This needs to be informed beforehand. The reception is way too small and Villas are bit old. The door of Villa 5 does not lock properly due to which I accidentally broke the key and ended up paying 150,000 IDR (+ 3.5 surcharge). No secure parking available. No proper drainage at the entrance due to which water gets clogged and you have to walk through it to enter the villas during monsoons. Poor electricity in villa bedroom, switch kept going, having to go out side and flick it every time. Bathrooms were quite filthy, stained bathtub and toilet seat. The villa (Villa 8) didn’t get much sun. Couldn’t put the lounges down to be flat. Very hard to get a taxi/taxi drivers found it hard to find the villa.